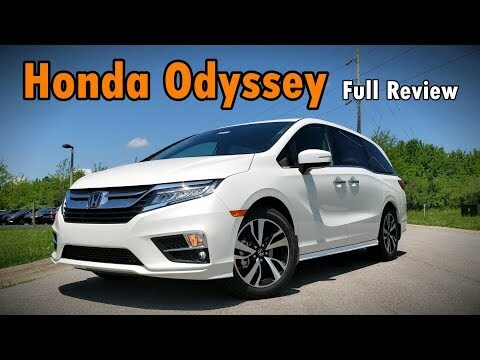 When it comes to combining maximum family friendliness with a pleasant driving experience, it just doesn't get any better than the 2019 Honda Odyssey minivan. From its cool exterior design and highly functional interior to its impressive list of safety features, the Odyssey simply has it all figured out. That the new Honda odyssey is partially self driving. I love all the self driving options on my mini van. I have arthritis in my right knee so it is a plus the vehicle can stay in lane, slow down or gain speed, measures distance from another vehicle all by a touch of a button. I also really like the touch buttons to start, reverse and drive. The cabin talk is also a very neat feature ( makes talking to my son easier when he has the cars headphones on). The only downside is my 2017 had a side camera and I had hoped this car would have 360 view camera. It is a very useful and intelligent car. The car is very useful, I use this car to work and drive up my families. The trunk is very large, because my parents live in other countries, each time when they come, we can put several baggages in the trunk, and it is not necessary to rent another car. The intelligence of the car is also very good. It can help to recommend me to hold the steering wheel, it is also equipped with auxiliary brake system, when the car is too close to the front car, this car could automatically brake. Great family car with enough cool gadgets to make my husband proud to drive. Very comfortable and reliable family car. Most important feature to me is the sliding passenger second row. This allows both of my kids to be away from the door and more towards the middle where it is safer. It is also really easy for someone to get in the 3rd row. Even with the 3rd row up there is enough trunk space for my double stroller and groceries. Power doors and all the gadgets inside make this the best car I have ever had. If the power sliding doors fails to latch, the doors may open while moving, increasing the risk of injury. Honda will notify owners, and dealers will replace the left and right power sliding door rear latch assemblies, free of charge. The recall is expected to begin December 20, 2018. Owners may contact Honda customer service at 1-888-234-2138. Honda's numbers for this recall are Z33 and O36.